READING, PA – The Olivet Boys & Girls Club PAL Center for the Arts has recently been identified as the recipient of the Wells Fargo Community Connections Program grant. The organization was honored at Wells Fargo’s Community Connections breakfast held at the DoubleTree by Hilton on October 11, 2017. Wells Fargo’s Community Connections Program is an annual program where each of its retail banking branches explores the needs of their local communities and selects a nonprofit organization or school to receive a $1,000 grant. This year, Wells Fargo will award more than $300,000 in grants to nonprofit organizations and schools throughout Pennsylvania. The grants are part of the company’s broader support of its communities. In 2016, Wells Fargo and its team members invested more than $9.1 million in nonprofit organizations and schools and team members volunteered more than 31,000 hours across Pennsylvania. Olivet Boys & Girls Club is proud to be recognized by Wells Fargo as an organization that strengthens local neighborhoods and families and works to address the vital community needs and issues. 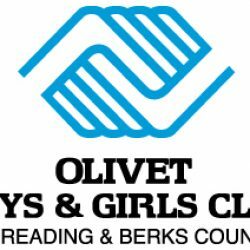 Olivet Boys & Girls Club enables all young people, especially those who need them most, to reach their full potential as healthy, productive, caring, responsible citizens. The Club’s three core areas of programming promote Academic Success, Healthy Lifestyles, and Good Character & Citizenship. The Club currently operates 8 clubhouses and 6 school sites in Reading and Pottstown. The Club’s goals are to mobilize our communities to reverse negative trends facing our youth, inspire and empower the next generation to be healthy, successful and engaged leaders, and serve more members, more often to help more kids on their path to a Great Future.